New Delhi [India], Oct 16 (ANI): After treating fans with an exhilarating trailer, the makers of much-anticipated 'Thugs of Hindostan' have unveiled the first song of the movie, titled 'Vashmalle'. New Delhi [India], Oct 11 (ANI): In the wake of India's very own #MeToo movement, Aamir Khan and his wife Kiran Rao have decided to step aside from doing a film with an accused. Leh (Jammu and Kashmir) [India], Sept 29 (ANI): The Principal of Leh school, which shot to fame after it was featured in Aamir Khan's blockbuster 2009 film '3 Idiots', stated that the popular 'Rancho Wall' in its premises is being relocated and not getting demolished. Mumbai (Maharashtra) [India], Sept 26 (ANI): With Aamir Khan's upcoming action-drama 'Thugs of Hindostan' all set for release, the actor steered clear from any controversy by refusing to comment on the 1994 Ismail Faruqui case as he felt that doing so may stall the release of his film. Mumbai (Maharashtra) [India], Sept 27 (ANI): With Aamir Khan's upcoming action-drama 'Thugs of Hindostan' all set for release, the actor steered clear from any controversy by refusing to comment on the 1994 Ismail Faruqui case as he felt that doing so may stall the release of his film. New Delhi [India] Sep 27(ANI): Bollywood superstar Aamir Khan's dream of working with megastar Amitabh Bachchan has come true with the film 'Thugs of Hindostan' as the duo will be sharing screen space for the first time in the film. New Delhi [India], Sep 27 (ANI): It's seldom that we see the biggest stars of Bollywood hanging out together, but Karan Johar has managed to bring them all under one roof. New Delhi [India] Sep 26 (ANI): Following release of the first poster of the much-awaited 'Thugs of Hindostan', Bollywood stars Amitabh Bachchan and Aamir Khan have surprised fans with the announcement of the film's versions in Tamil and Telugu languages. 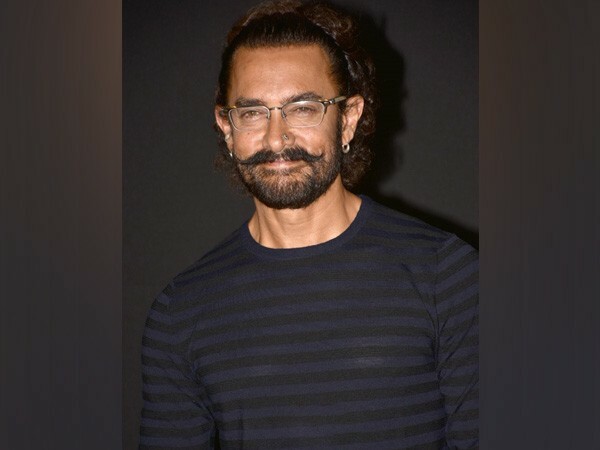 New Delhi [India], Sep 24 (ANI): The makers of 'Thugs of Hindostan' have finally unveiled the first look of superstar Aamir Khan from the film. New Delhi [India] Sep 19 (ANI): After revealing the look of megastar Amitabh Bachchan in 'Thugs of Hindostan', Aamir Khan has now treated the audience with the look of another thug- Zafira.